2010 MESCO Rookie of the Year Heumann and two-time ST poll winner White form BimmerWorld's No. 80 BMW E90 driver combo. 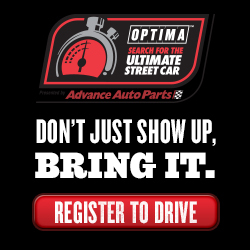 The final piece of BimmerWorld Racing’s 2011 GRAND-AM Continental Tire Sports Car Challenge Street Tuner puzzle fell into place today, as two of the team’s stars from the 2010 ST championship have joined forces for the upcoming season. Bill Heumann, a two-time ST race winner in 2010 and also the MESCO Rookie of the Year, and David White, a two-time poll winner and one of the most impressive rookies in the 2010 field, will partner to drive the No. 80 BimmerWorld BMW E90 in their quest to win the championship. While Heumann co-drove with Seth Thomas in 2010, and White shared a car with BimmerWorld owner/driver James Clay, the sophomore ST drivers will come together in 2011 to create one of the most formidable entries in the class. Heumann and White will be joined by Greg Liefooghe and John Capestro-Dubets in the sister No. 81 BimmerWorld E90. As two of his star pupils last season, Clay says Heumann and White are ready to deliver on the talent and promise they regularly showed in their first season of GRAND-AM racing. Although Heumann and White will serve as teammates for the first time, White says the close-knit structure within BimmerWorld during the 2010 season helped the two to form a strong working relationship. Learning a new series and new racing tracks is a daunting task for any rookie driver, but for Heumann and White, returning for their second season of ST competition and racing on familiar circuits is a proposition they look forward to. Being able to draw on the setup information from the 2010 season will also help the No. 80 and 81 entries, according to White. 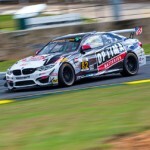 The competitiveness of the BimmerWorld-built BMW E90s last season served notice that the Virginia-based BMW experts would be a force to reckon with throughout the championship. 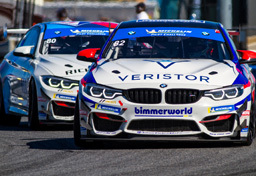 With the benefit of a few months between seasons, the BimmerWorld team has worked non-stop to make their cars even better, which White believes will pay off once the season gets under way. BimmerWorld’s team owner confirmed White’s assessment, and says that despite the lack of racing, the work has never stopped in their newly-expanded shop. The excitement within the BimmerWorld camp was obvious when Heumann and White spoke of their goals for the 2011 season. Heumann’s goals are similar to White’s. Finalizing BimmerWorld’s ST plans for 2011 has Clay feeling positive about their E90 program, but reiterated that the team will be run as a single unit with four cars in two classes, rather than as two separate teams vying for individual ST and GS honors. Follow BimmerWorld Racing’s progress throughout the off-season at BimmerWorldRacing.com.